Five Bachelor of Science in Hotel and Restaurant (BSHRM) seniors of STI College – Balagtas completed their on-the-job training in Queenstown, New Zealand where they were able to practice their hospitality knowledge and skills at three different hotels. 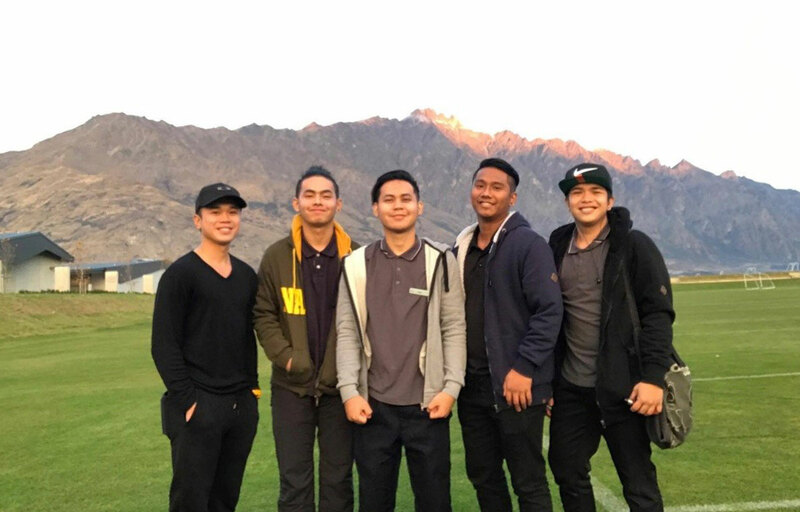 Melvin Manansala, Joshua Pascual, and John Matthew Silverio trained at The Rees Hotel Queenstown, while Ernest Christian Espura was an intern at the Millennium Hotel Queenstown. Paul Erwin Co, on the other hand, was at the Copthorne Hotel and Apartments Queenstown. They all worked in the housekeeping department with their respective supervisors, and received valuable training experience in the field. Their six-month stay in another country gave them a new perspective of working in a new environment, and a different kind of learning through cultural exposure. Their school always emboldens its students to seek out bigger opportunities and further explore to see what more they can gain from different parts of the world. The more they discover, the more well-rounded they grow through learning.